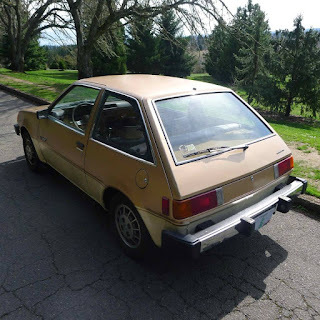 The Plymouth Champ was a re-badged Mitsubishi Mirage. 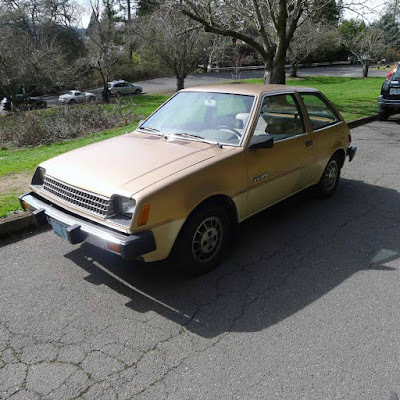 The Colt GTS Turbo version of the car was a screamer and a very under appreciated 80s Japanese car. This is not a GTS Turbo. Chrysler imported these cars to compete with cars like the Honda Civic. It did that job admirably, if unspectacularly. What makes this car stand out is the transmission. Mitsubishi called it "Super Shift." It's four-speed manual with a second lever for "low" and "high" range. Essentially this car had an 8 speed transmission. To the best of my knowledge Mitsubishi was the only manufacturer to use this set up. This Champ looks to be in good, but not perfect, condition. The seller is the second owner. He bought it two years ago from his neighbor. 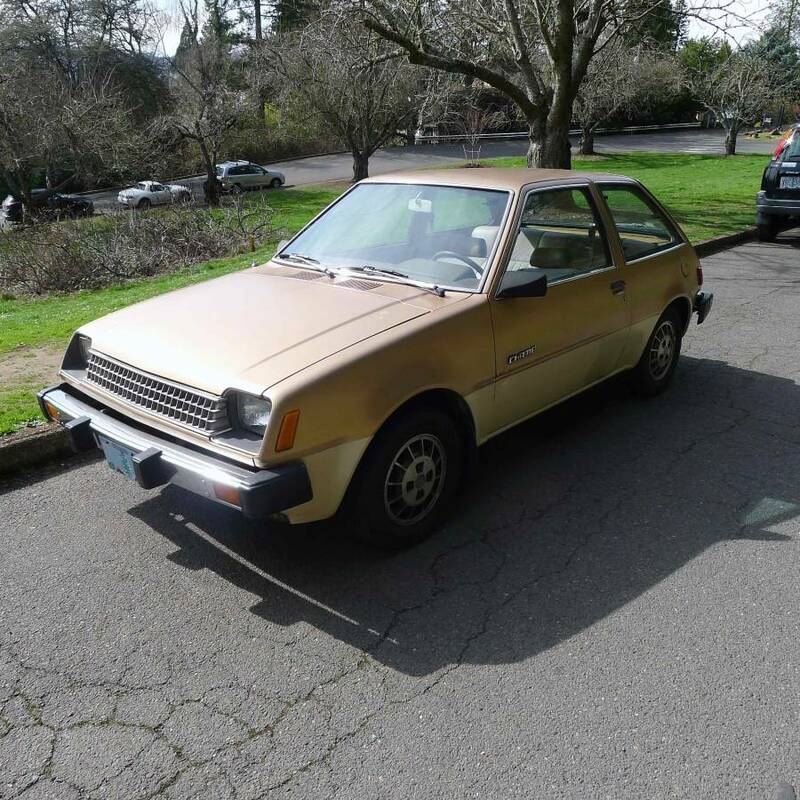 According to the seller, the original owner rebuilt the engine and carb and replaced the clutch, brakes, battery, and tires. The seller recently had some suspension work done. The car is not without flaws. 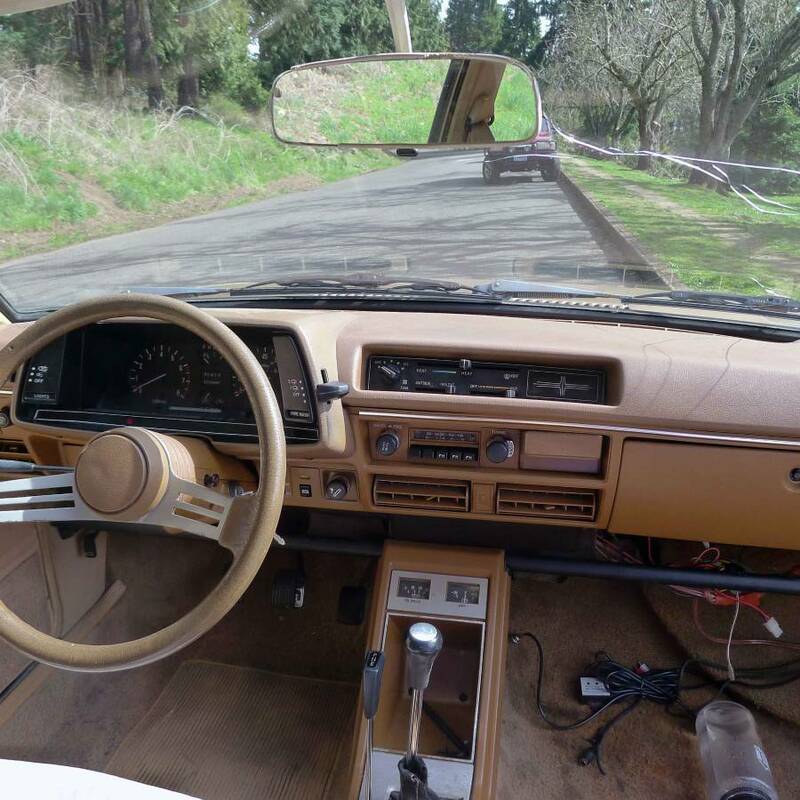 The windshield is cracked and the sellers says the interior is "not perfect," but the dash is not cracked. Based on the pictures, the body looks good with little or no rust. The asking price is $1250.00. If the car is all the seller say it is, that's reasonable. If you're looking for a cool, not often seen these days, commuter car with a unique transmission, the car might be worth checking out. "To the best of my knowledge Mitsubishi was the only manufacturer to use this set up." That is what I thought as well until I recently discovered the AMC Twin-Stick, available in the early sixties. 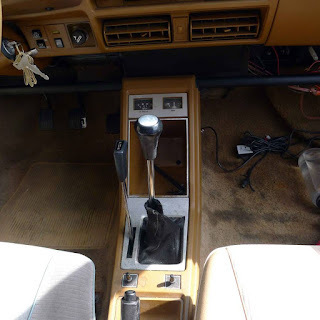 AMC's version consisted of a three-speed console shift, with a separate stick to engage overdrive on 2nd and 3rd!